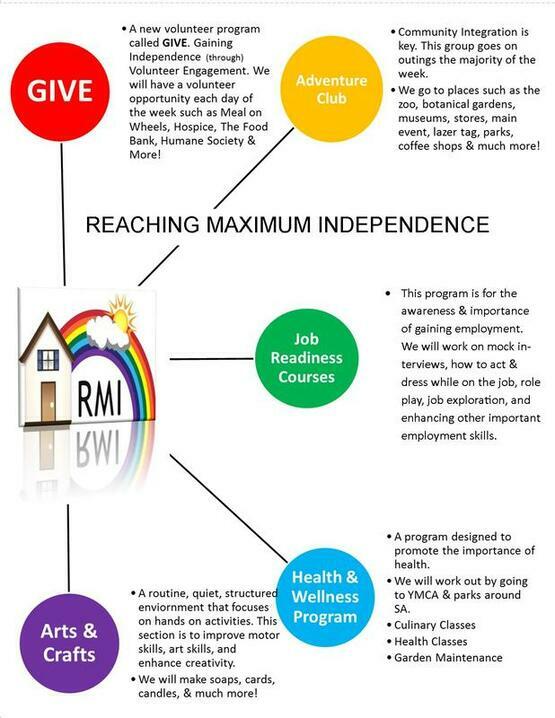 ​ RMI's Life Enrichment Day Program provides life skills training and social activities that help adults with developmental disabilities live and work successfully in the community. Click here to check out our scheduled activities for the month. The Life Enrichment curriculum includes training on personal care and hygiene, communication skills, academic skills and job preparation. Parties, group projects and community outings provide opportunities for social, educational and cultural experiences.